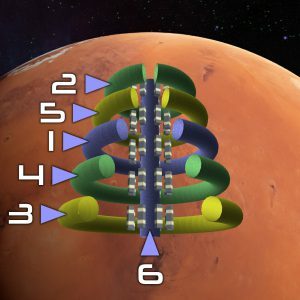 For your second Martian training mission, complete the Tunnel Hierarchy course. There is a waypoint in each tunnel. Travel through them in the correct order. The order is: horizontal blue, upper green, bottom yellow, lower green, upper yellow, vertical blue.